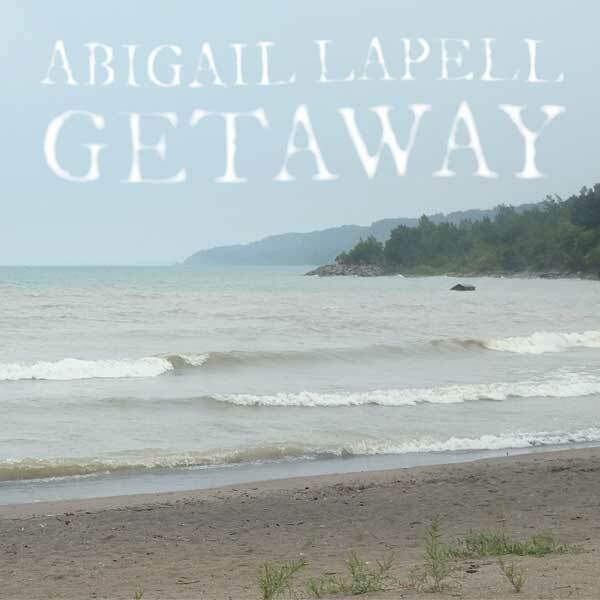 Call it prairie noir, or Canadiana desert rock: Abigail Lapell sings haunting, gorgeous modern folk songs, mapping epic natural landscapes and deeply intimate, personal territory. The Toronto vocalist, guitarist, and multi-instrumentalist has released two acclaimed solo albums. Hide Nor Hair, her Chris Stringer-produced sophomore LP, won a Canadian Folk Music Award for Contemporary Album of the Year in 2017. Getaway, Lapell’s ambitious third release due out February 1, 2019 via Coax Records / Outside, is bookended by songs about leaving. LP opener and first single “Gonna Be Leaving” echoes with the irony of someone who threatens to leave yet never goes—and the certainty that, sooner or later, every relationship will end. “This is one of my favourite tunes on the album, and one of the most fun to play live,” says Lapell. “The song started as a guitar part that I couldn’t get out of my head, this insistent line that keeps circling back on itself, doubled by the vocals in a sing-song rhyme all about the contradictions of couplehood: the push and pull of independence versus commitment, trying to make it work even against the odds, or trying to leave and not being able to. For Getaway, Lapell spent time in the mountains, digging through her vault of unreleased material, and ended up with dozens of road songs to choose from. Working again with Stringer at Toronto’s Union Sound studio, she expanded her pool of collaborators, recruiting Christine Bougie (Bahamas) on lap steel, Dan Fortin (Bernice) on bass, and Jake Oelrichs (Run With The Kittens) on drums. Trumpeter and composer Rebecca Hennessy plays on “Sparrow for a Heart”—her trumpet swirling in a sublime duet with Lapell’s synth flute and electric guitar—and also arranged horn parts for band workout “Little Noise”, with Tom Richards on trombone. The latter, a subtle nod to the ‘Me Too’ movement, may even inspire listeners to get up and dance. The album also features longtime collaborators Lisa Bozikovic on piano and vocals, Dana Sipos on vocals, Rachael Cardiello on viola, and Joe Ernewein on pedal steel.